This review of A Fortunate Life cannot deliver full justice to this stunning autobiography. 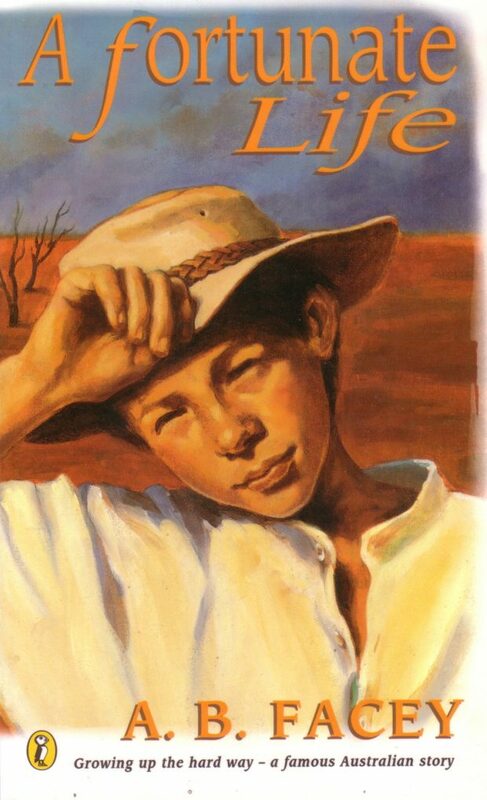 One feels it is such an important Australian story that it should be on school reading lists, though children who have never visited outback Australia may not understand the enormity of what Albert B Facey achieved. Bert Facey (1894–1982) was born in regional Victoria, the youngest of seven children. His father and two brothers went to Kalgoorlie’s gold rush when Bert was only a few months old. His father died soon after from typhoid and his mother left her five young children with her own parents, deserting them. Grandma and the children moved to Kalgoorlie, but his mother had remarried and moved to Perth. Everyday life was a struggle. At the age of eight, and having never received schooling, Bert went to work as a station hand, isolated from his family and, needing work involving a wage and board, never lived with them for any length of time again. The majority of the book tells of Bert’s harsh life as an uneducated station hand from the age of eight to 18: livestock grazier, lumber worker, fence digger, boundary rider, drover. He survived stock whip beatings, stampeding cattle, floods and droughts, then enlisted for WWI and survived Gallipoli (though badly wounded). Medically discharged home to Perth, he met and married his adored Evelyn. The last part of the book covers 60 years of wonderful married life, children and the many farms he and Evelyn bought and improved. To provide for his family during the Depression, he turned his hand to driving Perth trams and trolley cars, farming, raising livestock, sheep shearing and was a union and local government official. Despite the massive deprivations he suffered, he considered his ‘a fortunate life’, describing it as pre-Evelyn (lonely, solitary) and post-Evelyn, more than just himself. He was nominated for Australian of the Year in 1981.